"Cleveland's Lake Erie Monsters are very excited to be a part of this new affiliation partnership with the Columbus Blue Jackets, " said Bubolz. 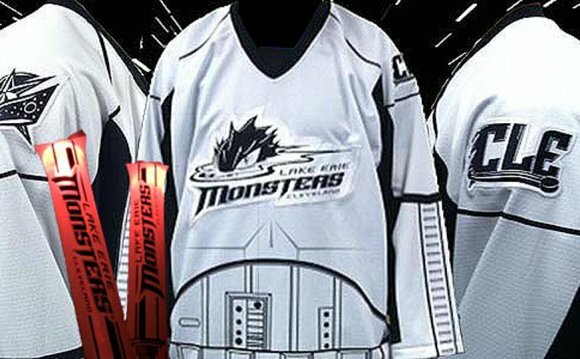 "Having this AHL-NHL connection in the state of Ohio will be great for the Monsters and Blue Jackets organizations, co-partners such as Fox Sports Ohio and all of the great hockey fans in the state. We look forward to this unique kinship with the Blue Jackets hockey operations staff, coaches, players and business team, both on and off the ice in Cleveland and Columbus." "The Blue Jackets couldn't be more excited and proud to have the Lake Erie Monsters as our American Hockey League affiliate, " said Davidson. "Both organizations are committed to winning and providing a great experience for hockey fans and we believe Cleveland, whose hockey roots date to the late-1920s, is the perfect place for our young players to grow, develop and have great success. Our sport has grown tremendously throughout the state of Ohio in recent years and we believe this partnership between two great hockey markets will allow us to continue that growth."